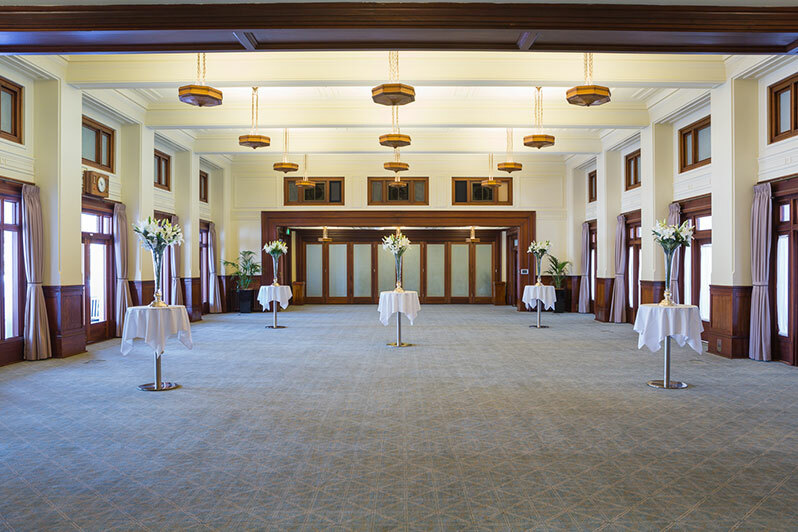 The Members’ Dining Room 2 was the main dining room for the exclusive use of parliamentarians, with direct and stunning views of Australian Parliament House, its own driveway terrace which can be utilised and photogenic bridges that allow a grand entrance off Queen Victoria Terrace. 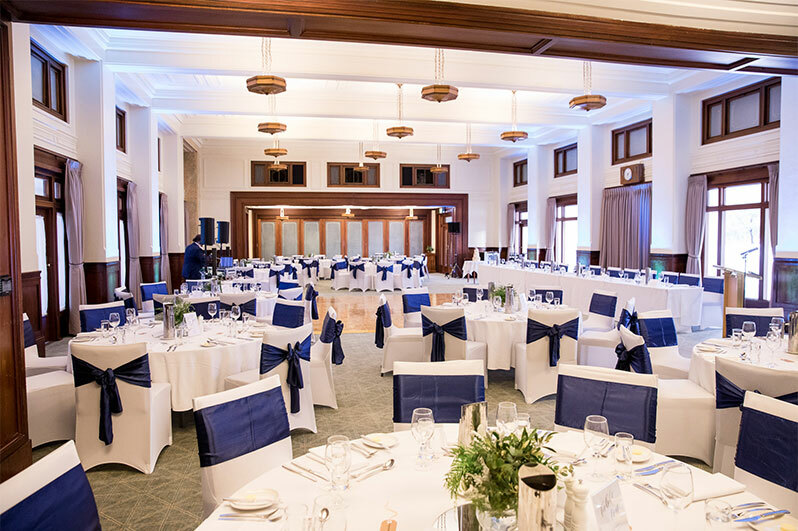 It’s high ceilings and original timber lamps, it is an overall beautiful historic backdrop that would be perfect for any event. 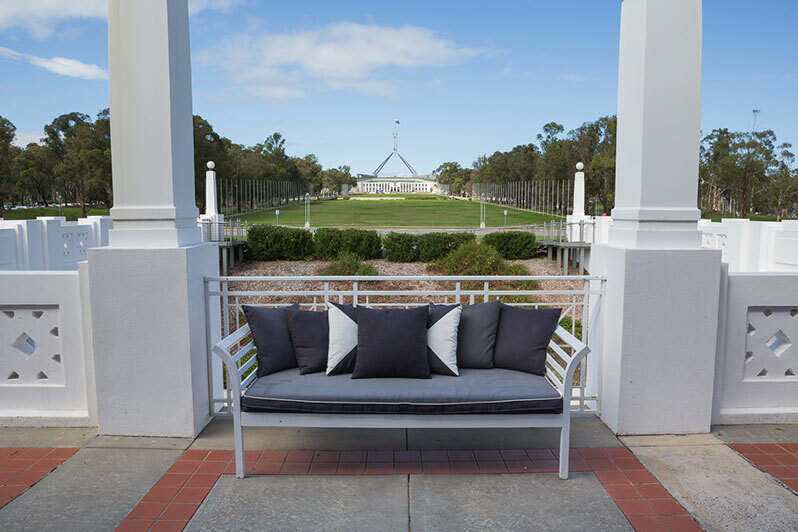 Direct access from Queen Victoria Terrace is via the driveway and pedestrian bridges; the latter have easy access ramps, and easy access toilets are also at level. A hearing loop is available in this space. 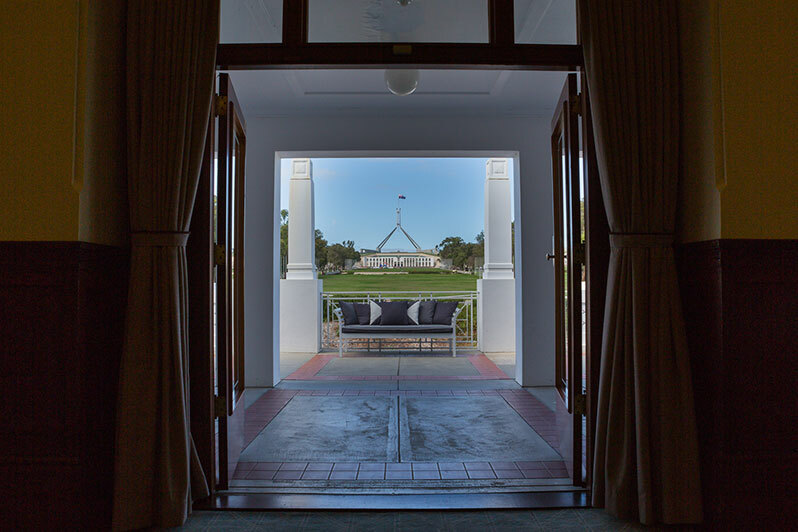 As the main dining room for parliamentarians, the crisp white linen and sparkling cutlery and tableware welcomed members and senators to tables allocated to their political party. Waiters and later waitresses served the politicians’ food from silver platters at their tables. 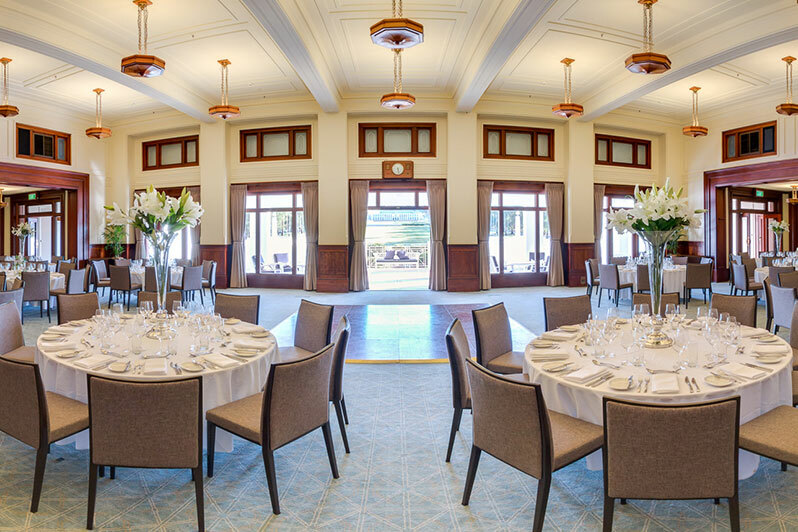 The Members’ Dining Room features a high ceiling, clerestory windows, white plaster walls with low timber paneling and distinctive light fittings. These finely detailed decorations suggest that it was designed to host significant special occasions in addition to daily dining. An example of such occasions being January 1966, when Prime Minister Robert Menzies held a press conference on his last day in office. 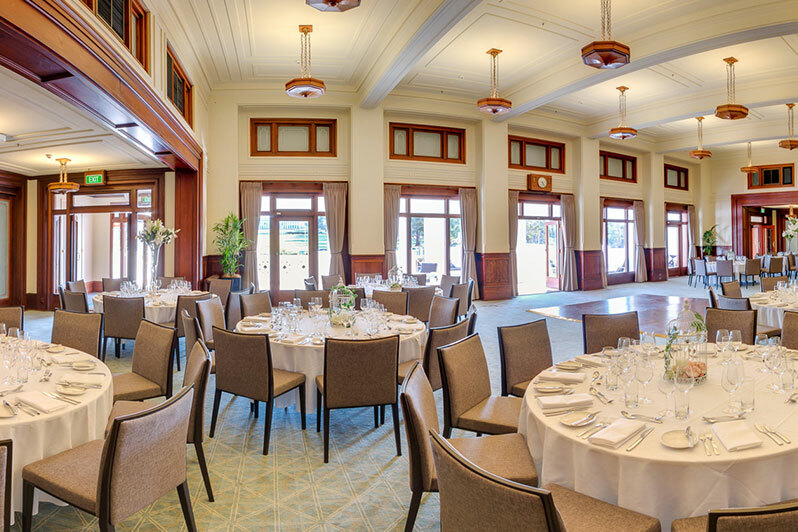 Originally, the Members’ Dining Room was painted white. However, between the late 1930s until the 1950s it was decorated throughout with an intricate and colourful paint scheme. After carefully scraping back the overlying layers of paint, the decorative effect can now be seen in one section of the north-east corner, revealing this small fragment in time for the eyes of today.